well-lighted and fully sprinkled. Our facility is protected by ADT Security Systems which includes door contacts, motion detectors, impact detectors, and camera surveillance. Additional security is provided by an outside security company, offering security guard service around-the-clock, 24 hours per day. Our material handling equipment includes: forklifts with weight capacities up to 15,000 pounds, equipment that can handle paper roll stock, carton clamp, barrel, drum and crane service. 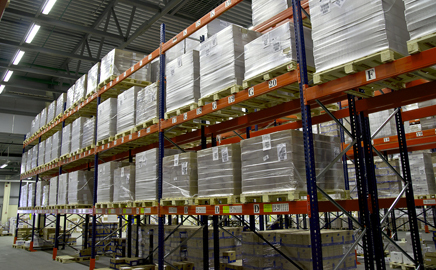 We protect your inventory because our business depends on the safety, security, and protection of your inventory. Copyright © 2019 Prime Logistics, Inc. All rights reserved.